The California Air Resources Board or CARB for short is one of America’s most stringent regulatory bodies. The main goal of this organization is to limit VOC (volatile organics compounds) emissions of chemicals. It regulates both consumer products and industrial products as well. The Environmental Protection Agency (EPA) has passed new regulations that require small engine makers to adhere to emission control laws. The new laws aim at reducing emissions by 35% in an effort to reduce carbon footprint and save money for the American people in terms of gasoline savings. However, to get to the savings part you first need to spend money. Your lawn mowers and weed trimmers are going to cost more as the usual practice is to pass on the additional cost to the consumer. In 1990 America passed the Clean Air Act directing the EPA to study and regulate non-road combustion engines and their contribution to urban air pollution. The documented evidence showed far higher than expected emission levels across a wide range of engines and equipment including small spark ignition, gas fueled lawn equipment, garden equipment, lightweight pumps (portable variety) and chain saws among others. Since small non-road engines were considered to be very small contributors to air pollution they were not a major concern. However, emissions from these small engines contribute as much as 20 percent of the pollution across the cities of America. California Air Resources Board (CARB) has established the new Tier III emissions regulations that apply to any type of lawn mower sold in the state. What we need to be aware of is that CARB standards are more than just controlling engine emissions; these standards also seek to reduce fume leakage by insisting on better materials. EPA is expected to enforce California standards in 2011 but there are approximately 16 states who have already adopted these standards. 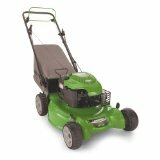 Gas powered lawn mowers are probably the biggest defaulters as they fail to keep up with the greener, carbon footprint reduction trend. One of the main problems with gas powered mowers is that they emit pollutants even when they are CARB compliant. 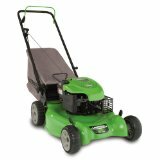 On the other hand, Electric lawn mowers, both corded and cordless models are a safer option as they do not need to burn fuel to be operational. As such they are not part of the CARB compliant documentation. 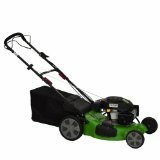 Irrespective of whether you live in California or not, you should buy a CARB compliant lawn mower - you will be doing the right thing. 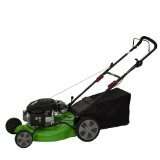 People who are truly environment conscious may consider using manual reel lawn mowers which are the greenest option available today. These mowers do not have any environmental impact and will give you a good workout!